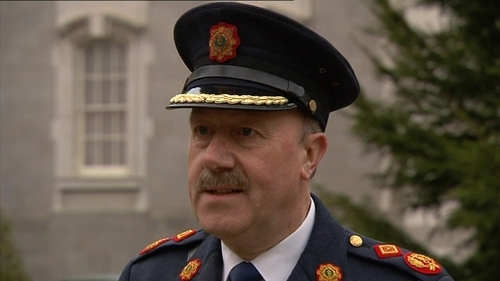 The Government has appointed Martin Callinan as the new Garda Commissioner to replace Fachtna Murphy, who is retiring at the end of the year. Deputy Commissioner Callinan is currently the second highest ranking officer in the force. He is in charge of all garda operational and specialist units responsible for the investigation of crime. These include the Organised Crime Unit, the National Drugs Unit, the Criminal Assets Bureau and the Armed Response Units. A native of Dublin, Mr Callinan has been a member of the Garda Síochána for the last 37 years. He has served at all ranks in Dublin, Mayo, Waterford and Garda Headquarters. Minister for Justice Dermot Ahern said Mr Callinan 'has all the qualities needed to lead the Garda Síochána successfully through the challenging times ahead'. The Minster also paid tribute to Commissioner Murphy and the work he has done in his 40 years' service. Mr Callinan, who holds a BA (Hons) Degree in Police Management, will begin his new role on 28 December.